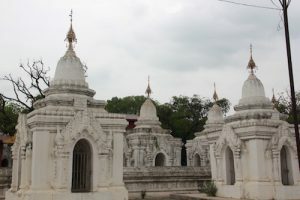 Home of the world’s largest book and the restored Palace from the Konbaung Dynasty, this riverside town holds a lot of religious significance and is a popular spot along the Myanmar travel route. Mandalay is the second largest city in Myanmar and sits on the banks of the famous Irrawaddy River. 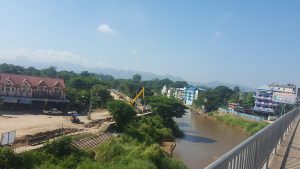 It’s the gateway to Lashio and Myitkyina, and is a city not to be missed on your travels through Myanmar. 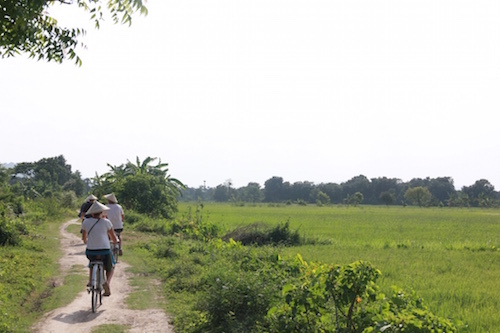 Explore some of Myanmar’s most beautiful countryside on bicycle, take a trek up to Mandalay Hill for a breathtaking view, or take the local ferry to remote villages of Mingun. Mandalay has a lot more to offer than what meets the eye. 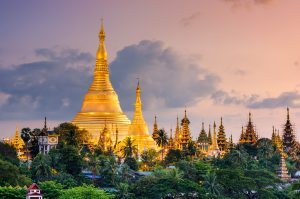 Here is a guide to Myanmar’s second largest city, including what to see, where to eat and where to stay. Mandalay is the second largest city in Myanmar and therefore contains an international airport. The Mandalay International Airport is situated 45km from the city. You can get a private taxi into town for 12000 kyat or a shared taxi for around 4000 kyat. Private transfers are also available from most hotels. There are trains that run the route from Yangon to Mandalay (5-13,000 kyat) however the ride is a lengthy 15 hours. 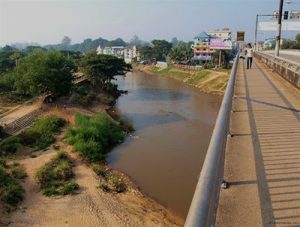 Many instead prefer the scenic train rides which run between Mandalay and Lashio, Hsipaw, and Pwin U Lwin. You can book the train journeys through your hotel or at the advance booking office opposite the Sakura Tower. There are a number of good quality night buses that run between Yangon and Mandalay that have a/c and reclining seats. 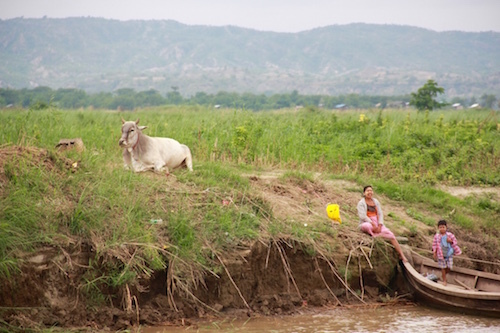 The popular journey is 8.5 – 9 hours and prices range from 15 – 24,000 kyat depending on class. 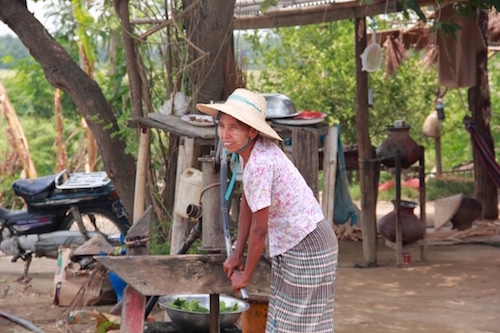 There is a mini bus from Bagan to Mandalay that runs daily and takes approximately 5-6 hours (11,000 kyat). 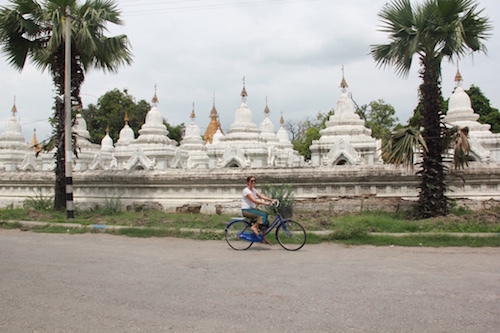 Mandalay is a popular city to explore by bicycle. While some of the main crossroads are a little difficult, overall the city’s grid layout is quite bicycle friendly. 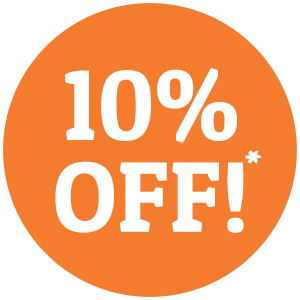 You can hire a bike for around 1 – 2£ a day. Most hotels and guesthouses offer bike hire. 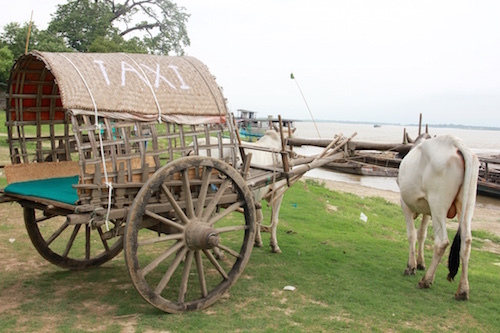 There are taxis in Mandalay and they can be a relatively cheap option for getting around town. Ask your hotel to call for one or hail down on the main roads. Mandalay is a nice city to walk around. The main city centre is relatively quiet and safe to walk, however if you wish to see the main sites like Mandalay Hill, Royal Palace or the Kuthodaw Pagoda then a bicycle would be best as these sights are a fair walk from the city centre. 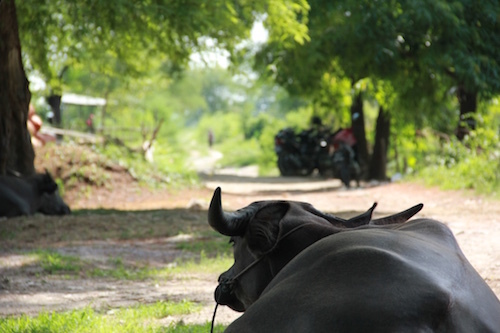 Motorcycle taxis are available throughout Mandalay and can be a cheap option for sightseeing. You can pick up a day sightseeing tour on a motorcycle taxi for 10,000 kyat. It is possible to rent a motorcycle in Mandalay for around 12000 – 15000 kyat per day. This option should be left to experienced drivers only as there can be quite a bit of traffic on the main roads. Most hotels can organise motorcycle rent for you and it’s always best to ask about the location of petrol stations as they are usually quite discreet. 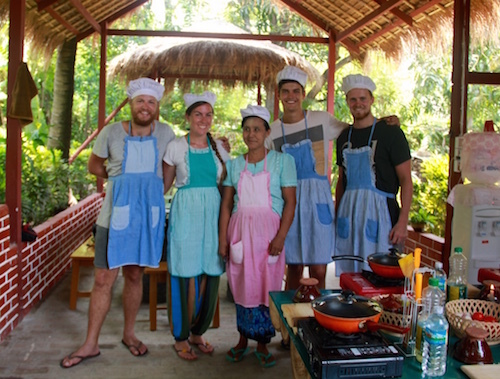 A Glimpse of Mandalay is a cooking class/day tour of Mandalay and surrounding areas. 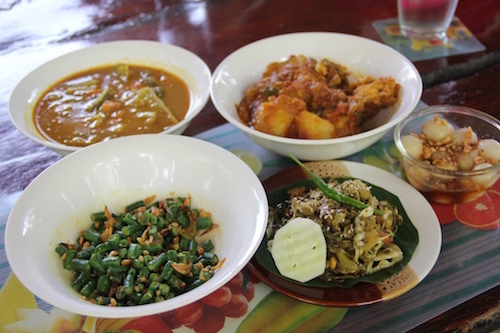 The only one if its kind in the city so far, it’s the best way to learn about burmese cuisine, and visit the beautiful countryside that is off the beaten path to tourists. 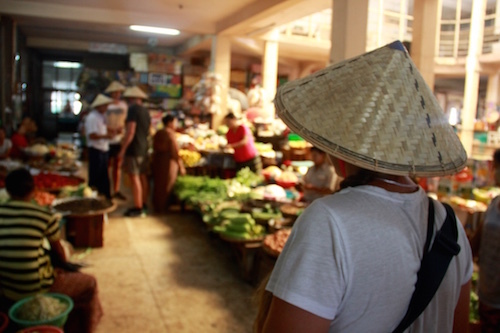 Start with a visit to the market, then tea at a traditional burmese teahouse, followed by a cooking class in a local home and a bicycle ride through the beautiful green fields of Mandalay’s outskirts. The tour costs $30 USD and includes free pick up and drop off. The Moustache Brothers are a comedic trio from Mandalay known for live performances that combine comedy, classic Burmese dance, and satirical criticism of the Burmese military regime. Back in 2007 the trio clashed with government forces and faced jail time over their performances, however nowadays they are free to perform their satirical show and do so every night at 8:30pm in their home in Mandalay. Tickets cost around 10,000 kyat and there is no need to pre-book. The world’s largest book is situated in the grounds of the Kuthodaw Pagoda in Mandalay. It might take you a little while to find the book or perhaps you’ll realise where it is as soon as you get in (Hint – it’s made of stone). Either way the grounds of the Pagoda are pretty fascinating and you can spend a few hours walking around, visiting the burmese stalls, and relaxing barefoot in the calming atmosphere. The pagoda is about a 20 minute bicycle ride from town. 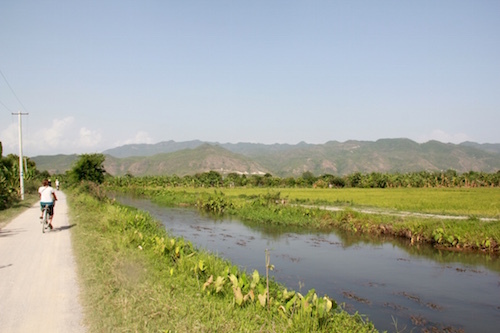 Community based tourism is becoming increasingly popular in Myanmar however many projects are still in the development stage. 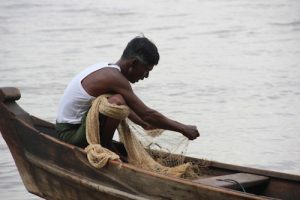 Here in Mandalay the Wildlife Conservation Society is partnering with local organisations to help protect the Irrawaddy dolphin by educating visitors about their plight, and working with local villagers to implement eco friendly practices that are helping to stop river pollution. You can visit one of the WCS pilot projects while in Myanmar and later this year they will be opening a visitor’s centre. If you would like to book a tour to visit the Irrawaddy dolphins and local fishing villages please email thantzin1977@googlemail.com with your enquiry. We will update this post when the new website is live. In the meantime you can read our contributor’s story about her experience visiting the local villages and learning how community based tourism is helping the Irrawaddy Dolphin. Mahamuni Pagoda is the second famous and one of the most ancient pagodas in Myanmar. 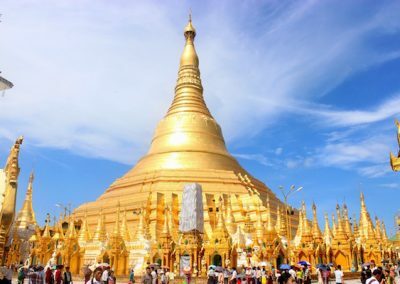 Taking the number 2 spot after Yangon’s Shwedagon pagoda, this religious landmark is especially famous for it’s 3.5 metre-tall seated Buddha that awes visitors as they arrive. The dress code is very strict, shoulders need to be covered and ankle-length trousers must be worn. 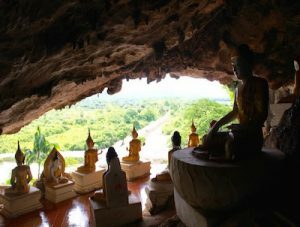 They also have a rule whereby men are the only ones able to put gold leaf on the Buddha, a tradition of offering common throughout Myanmar. It is important to respect the country’s religious traditions, especially in holy places such as this. 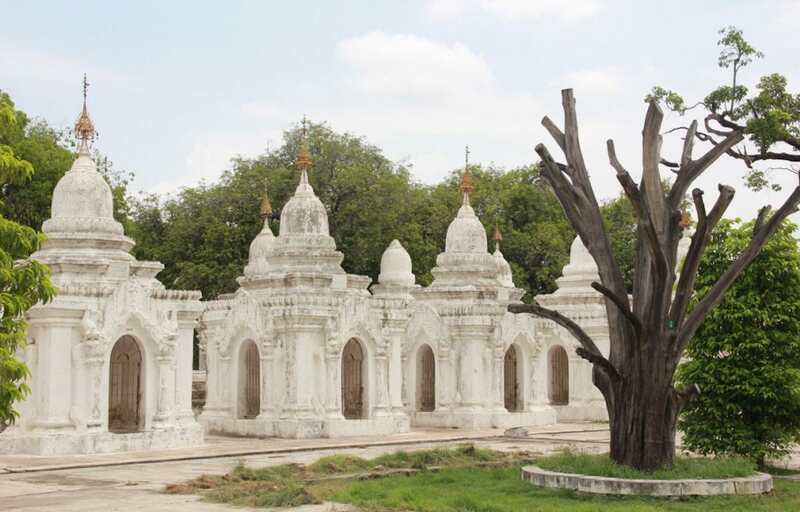 A popular day trip that will take you to the local villages outside Mandalay is a visit to Mingun. 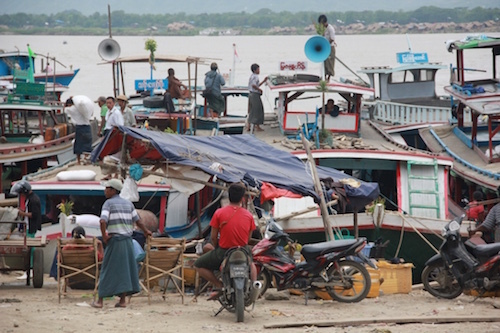 Mingun is about a half hour ferry ride from Mandalay ferry port and boats leave daily at 9:am and return at 1:00pm (5000 kyat return). The ferry ride in itself is rather interesting as you step into the life of a local and pass small farm houses and riverside villages. Once you arrive in Mingun you can walk through the villages, climb the Mingun Paya and visit the white pagoda. Make sure you are back at the jetty to get the 1:00pm ride because if you miss it you’ll have to take a long and pricey motorbike taxi bak to Mandalay. 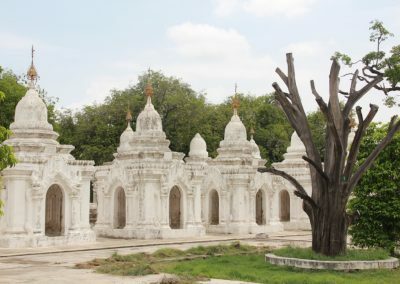 Mandalay Hill is located in the northern part of downtown Mandalay and is a 240 meter high hill that overlooks the town, offering visitors fantastic views of the city and surrounds. The climb (which you most likely have to do barefoot because of religious temples) isn’t too difficult for those in reasonable condition, and you’ll be rewarded at the top with amazing views of the city and countryside, plus the chance to visit the famous Sutaungpyei pagoda ($5USD), a pilgrimage site for Buddhists. For those who don’t feel like walking there is a shuttle (1000 kyat) and regular motorcycle taxis (3000 kyat) to take you up to the top. They say sunset is a great time to visit but this can also be the most crowded. 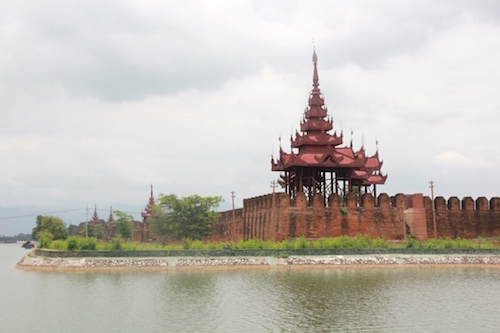 The Royal Palace is located in the middle of a 2 square kilometre area which dominates the centre of Mandalay. Surrounded by a 64 metre wide moat tourists can enter the Royal Palace only through the east entrance, the rest of the huge grounds are now used as a military base so you will be turned away if you try to enter through any other way. The Royal Palace has been restored to depict the original palace of the 1800’s. There are photo exhibits, palace memorabilia and historic artefacts on show. Unlike Yangon, Mandalay doesn’t exactly have an abundance of food on every corner but there are still a few great restaurants and food markets in the city. For street food one of the best places in town is Shan Ma Ma. It’s cheap, vegetarian friendly and close to the centre of town on 81st street. There is also a nearby night market serving street food from 16:00-00:00. For Indian food, which is quite popular in Mandalay, try Pan Cherry nearby on 81st street. There is also a Chinese influence in Mandalay and you can grab some delicious Chinese food at Aung Lin Restaurant. If you’re after a big night out unfortunately Mandalay doesn’t have much on offer. Shan Ma Ma has cheap beers and you’ll find some small local hangouts that serve cheap beer as well. BBB Bar and Restaurant on 76th street also serves alcohol, and western food for those needing a bit of western comfort. 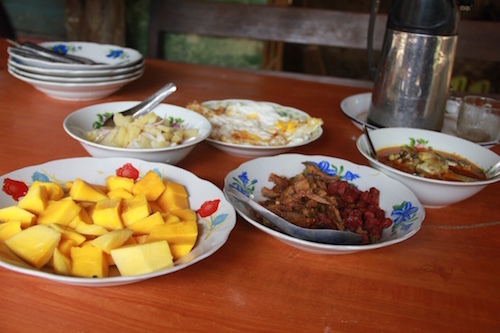 Mandalay has a bunch of great value accommodation, including hostels, hotels and guesthouses. Top-rated hostel Ostello Bello is popular amongst backpackers, but for the same price as a dorm bed you can get hotel room in town, although without the chance to make new friends. M3 @ Sun Winner Hotel is great value, and they include breakfast and cheap bicycle hire. Four Rivers B&B Mandalay & Golden City Light Hotel are also good choices. If possible, try to get to a health care centre in Yangon. For hospitalisation or severe health issues, it is best to try to get to Singapore or Bangkok. Mandalay is generally a very safe city. It is still important to take precaution at night and respect the rules and regulations surrounding Burmese law.